Black Pepper Syrup gives quite a kick to this virgin cocktail. 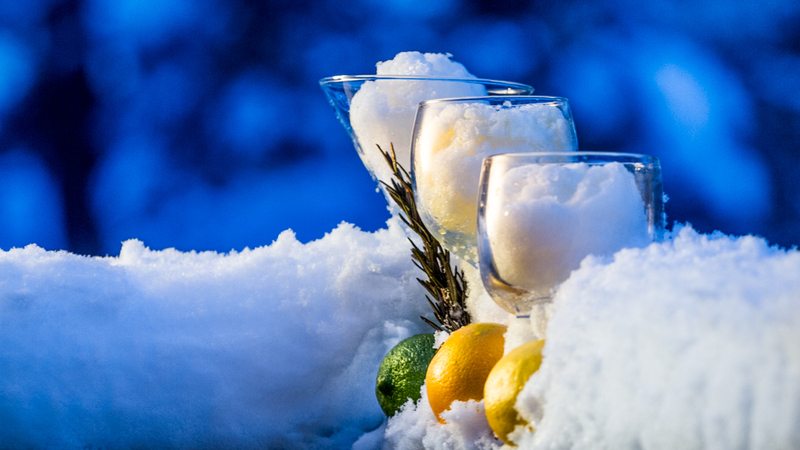 In creating drinks without the kick of alcoholic beverages, finding alternate ingredients to add the interest becomes part of the fun and challenge for mixologists. Black pepper syrup is an intriguing idea – sweet but with a heat and a hint of acidy and a brilliant flavour complex. There are many recipes online for this syrup, generally recommending a combination of cracked and whole peppercorns along with water and sugar. The cracked peppercorns deliver more heat, while the whole fruit provides a more mellow and rich flavour complex. In drink mixing this syrup often is paired with grapefruit, citrus and/or berries, are added to martinis for added heat. 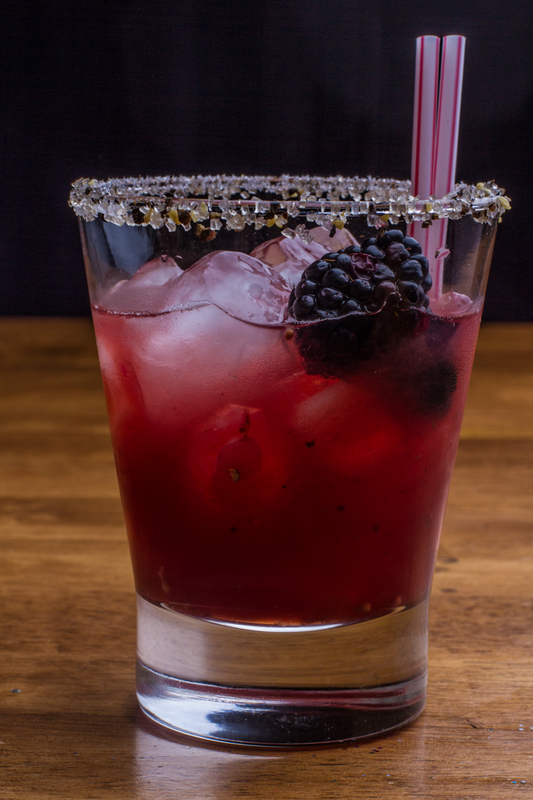 When looking up virgin drinks, I found two that paired blackberries with peppercorn syrup and added lemon to round out the flavours. Our family tested both. 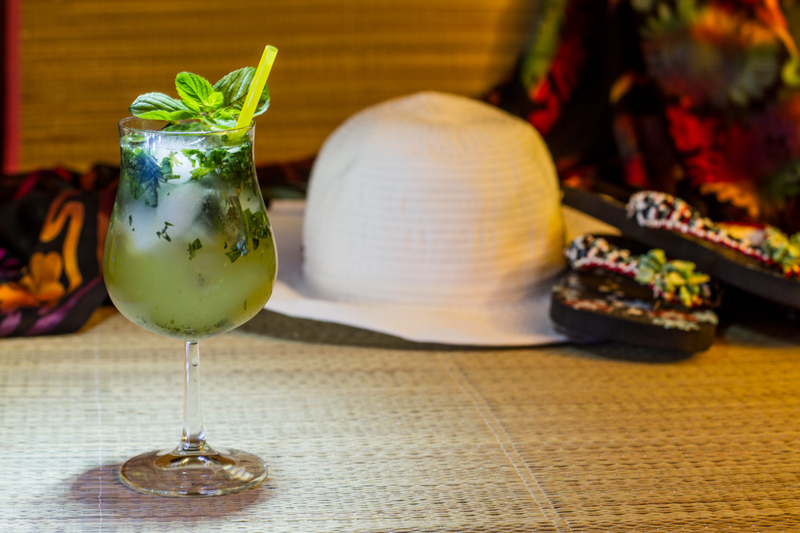 This first recipe from FoodRepublic has all the makings of a great summer drink. The combination of black pepper syrup, fresh berries, lemons and a hint of basil for additional interest are all seasonal —especially up north — and more likely to be found in the summer months. The drink calls for muddling fresh basil, blackberries in the syrup and adding to a combination of 2 parts lemon juice to 1 part soda water. This drink is a very fresh and bright tasting with a serious kick from the lemons and peppercorns. You can find the recipe here. Dole foods promotes their frozen products with a lemonade using frozen blackberries. 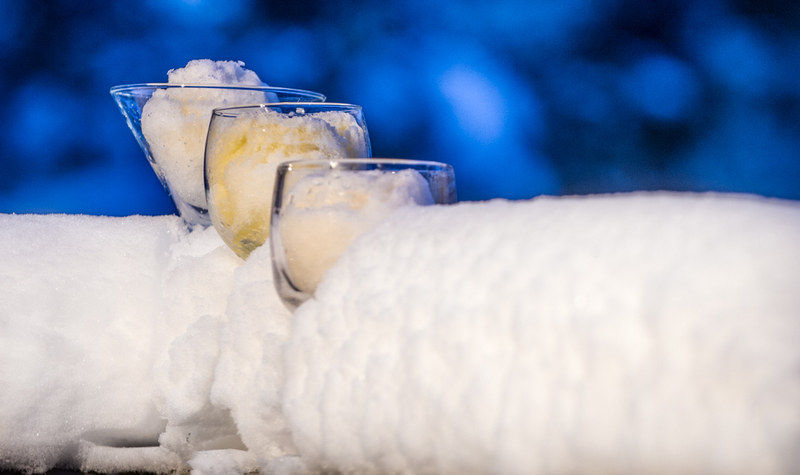 This is a great option for a drink that can be made all season. The recipe is simple, also using fresh lemon juice, black pepper syrup and blackberries muddled in a glass, strained and poured over ice. This is in my opinion more of a martini as the drink is left concentrated, but they recommend serving it over ice, which will help to dilute the taste. As an added interest, the recipe calls for a salt and pepper rimmer. You can find the entire recipe with the syrup they used, the rimmer and the drink here. My family found the Black Pepper Lemonade sweeter and more flavourful than the the more earthy Black and Blue Lemonade. However the pepper is very prominent and we cut the recipe by half for the kids. The Salt & Pepper Rimmer was not popular amongst the younger crowd either, but as someone who adores peppercorn encrusted steak and tenderloin, the addition made the drink all that more spectacular. On a hot summer day though, I can see choosing the more subtle, tart and complex flavour of the Black and Blue Lemonade to quench my thirst, the brightness of the fresh ingredients and the fizz of the soda are a combination that is hard to resist. At the end of the day our family voted. Black Pepper Lemonade came out victorious. Ingredient finding: 3/5 Blackberries (fresh and frozen) and basil are not commonly found all year locally.